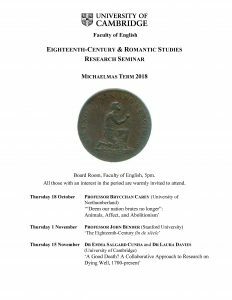 The Eighteenth-Century and Romantic Studies Graduate Seminar meets regularly during term time. Sessions are hosted and chaired by members of the English Faculty, and speakers are invited to address graduate students, senior faculty members and visitors on their particular area of expertise, with ample time for questions and discussion. 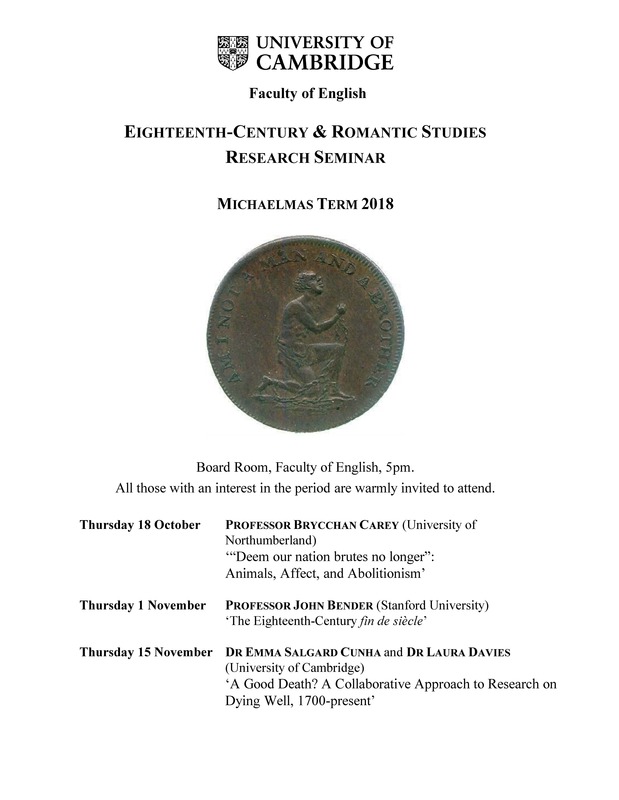 The seminar meets at 5pm on Thursdays, in the English Faculty. Everybody is most welcome to attend.